Useless Bay Sanctuary, a nonprofit rescue for lost dogs. Should you keep a stray? How to help a roaming dog. By Jim Branson, volunteer with Useless Bay Sanctuary. What should you do if you catch a dog that is running loose? This is an issue I have been dealing with since 2008, when I first started volunteering for Missing Pet Partnership. I helped start a nonprofit, www.UselessBaySanctuary.org, specifically to deal with stray dogs running loose with no known owner. Once you have a stray dog in your possession, your first obligation is to the health and safety of the dog. Additionally, you are required by law to take steps to find the dog’s owner. If you would like help with a dog you have found, you can contact us at any time, UselessBaySanctuary@gmail.com, and we will do what we can with the resources and experience we have gathered over the years. Every day, I read of another found dog that is staying in someone’s house, and people have a wide range of ideas of what’s best for the dog. Years of experience has taught us what works and what doesn’t, and you can learn from our mistakes. This article on what to do with a stray you’ve captured may seem long, but if you don’t have time to read the whole thing, then you aren’t ideally suited to care for a stray and help him get home. Should you call animal control? Certainly. That's what they are there for. Some people won't call animal control because they believe it will result in the dog being euthanized. In fact, in most cases, animal control can improve a dog's chances of getting back home. However, animal control can't be the answer to every problem, and you may be able to provide help to a dog when animal control can't. For one thing, when you call animal control, they may come right away, or it may be several days before they are available if it is a weekend or they are busy with other calls. Also, wandering dogs do cross jurisdictional boundaries, and the area where the dog is now may not be the same jurisdiction as the area he wandered away from. The local shelter may be the first place the owner of the dog goes looking, but the dog could be taken to the wrong shelter if he has wandered far. If a dog is truly dangerous or vicious, animal control officers have the equipment and training to handle a dangerous dog safely. There are advantages and potential drawbacks to calling animal control, and when you first see a stray dog, it's hard to know enough about the stray to judge whether he would be better served by animal control or by help from a concerned citizen. Of the hundreds of possibly stray dogs I've found, the majority of them were wandering within a block or two of home, and all they needed was a little help getting home. Animal control can't respond to every single dog that wandered half a block. Avoid bites and injuries. For the safety of the dog, you need to make sure he doesn’t bite you or anyone else. Of course, for your own sake, you don’t want to receive a dog bite. You also don’t want your children or dogs bitten. But it is critically important for a stray dog that he does not develop a reputation as a dog that bites. This can make him difficult or impossible to foster or adopt. Most bites can be avoided if you take precautions. If you must introduce the dog to your dogs, do it in a neutral place, like a local park, if there is any chance the dogs won’t get along. You don’t know this dog’s history, and you might be surprised by what sets him off. My fifteen pound poodle, Fozzie, who was found as a stray, likes big dogs, but he is very nervous around dogs six pounds and under. That’s not something I could have predicted, and it is an example of a personality quirk you wouldn’t know about a stray. If you have children, don’t allow them to run right up to a dog. If your children are old enough to understand, explain to them the proper way to approach a dog, calmly, with respect. A child should be able to read a dog’s body language and see what a dog likes and doesn’t like. Almost all dogs give warning signs before they bite, and anyone interacting with a stray needs to be able to read these signs. If your child is too young to understand what a dog wants, simply don’t put the stray in the same room as your children. If you unwittingly put a stray dog in a situation where he feels his only recourse is to bite, it could cost him his life. A dog that wounds a child severely may be euthanized, even if it really wasn’t the dog’s fault. Most stray dogs will not bite even if provoked, but you are not helping the dog if you carelessly create a situation that increases the odds of a bite. Use calming signals. A dog that was wandering loose may be stressed, tired, hungry, ill, and generally out of sorts. You may deal with your own dogs by looking right in their eyes, patting them on the head, and approaching them directly, but you should give a new dog a break by approaching her with the calming signals that dogs use with each other when first meeting. Don’t look directly into the dog’s eyes. Make brief eye contact and then look to the side. Position your body to the side, not squared up directly toward the dog. Do not crouch down to try to make the dog feel comfortable. Instead, either sit down on the ground, or bend forward at the waist while turning to the side. You can lick your lips and yawn to help a dog relax. For the most part, simply ignoring a dog is going to help her relax. Don’t make sudden movements or loud noises. Stay where the dog can see you, but keep your back to her when practical. Some dogs will be happy, wiggly, and social, in which case you can approach them like you would your own dogs. Read the behavior of the dog, and use calming signals if you sense any stress. Collar and tags. Hopefully, the stray dog has a collar and tags, so you can call the owner and they can pick the dog up right away. It doesn’t always work that way. The number on the tag might be disconnected, or maybe there is only a license or rabies tag. If the tag gives you wrong or incomplete information, you can still track down the owner in most cases. If you know the shelter the dog was licensed at, or the vet where the dog was vaccinated, you can eventually track down the owner most of the time. A veterinary office probably won’t tell you who the owner is at first, but they will call the owner and tell them you have their dog. If the people have moved or changed their number, the vet may give you a name and an old address to help you find the owner. This has helped reunite dogs with owners in the past, even though it has taken extensive detective work sometimes. If you are not willing to take these steps, you can’t just say, “Oh well, I tried. The dog is mine now.” There are other steps you can and should take. Seek veterinary advice if needed. If a dog looks unusually thin or appears to have any injuries, get the dog to a vet sooner rather than later. If a dog has been without food for a week, giving too much food too quickly can be harmful or fatal to a dog. Called refeeding syndrome, a sudden rush of nutrients can upset the metabolism of a dog that has adapted to a lack of food. We found a dog that had been missing two months and had gone from 60 pounds to 28. The initial impulse was to feed him as much as possible right away, but the vet advised just a few tablespoons of food at first, and then a little more food in a few hours, to gradually restart his system without shocking him. If you have any questions about the dog's health and you aren't sure what to do, get the advice of a professional right away. Walk the dog in the area found. I can’t even count the number of times I have “rescued” a dog only to learn that it lives within a block of where I found it. In some cases, the dog was allowed to roam free by its owners, and in other cases a gate or a door was accidentally left open. If you get a dog under your control, secure the dog with two leashes (see below) and walk the dog around the neighborhood. Ask people in their yards or walking the neighborhood if they recognize the dog. Perhaps the dog will lead you to its home. If that doesn’t work, definitely make note of the exact location you found the dog so you or someone else can follow up at a later date and check the neighborhood again for lost dog fliers. As you are walking the dog around the area, be sure to let people know, as you approach them, that the dog is not yours and you don’t know how he might react to strangers or to unfamiliar dogs. You need to take precautions to avoid a bite. Found dog posters. Put up several, or as many as ten, Found Dog posters in the area where you found the dog. You don’t need a picture, but at least have a general description, like large black dog, or small tan dog. Put a phone number on the poster that will be answered most times of the day. Your posters may be knocked down by the wind and rain after a few days, so go back to the area and check that your posters are in good shape every few days. Make the posters large, at least 11 by 17 inches, not just the typical 8.5 by 11 flyer, with a colorful background. Many stray dogs have been reunited because of Found Dog posters. Scan for a chip. Veterinary offices and shelters can scan the stray dog for a microchip. They should all have universal scanners, which detect chips by all common manufacturers. Also, the vet tech or shelter employee that does the scan should scan every part of the dog’s body, from the tips of the ears to the tip of the tail. Microchips can migrate within the body of a dog, and end up in unexpected places. Many times, when you do get a chip number, you call the microchip company and learn that the owners never registered the chip, or they didn’t update their information when they moved. If that’s the case, they can still tell you where the chip was implanted. Then you can call that shelter or vet and possibly learn who the owner is. Craigslist ad. Place a craigslist ad right away. With most smart phones, you can place the ad moments after you find the dog, before you even leave the area. Give some basic information about the dog, where he was found, the condition he is in, etc. Hold back some significant details so that anyone claiming to be the owner would have to tell you those details as proof of ownership. Many times, I have listed a found dog and had someone claim to be the owner without having any sort of proof. I’ve asked these people to contact me when they can produce reasonable proof, like a photograph, vet records, or adoption papers. When they never called back, I knew they weren’t the real owners. If your dog was found and you knew who had your dog, you wouldn’t just not call them because you couldn’t find a picture. You would persist until you found a way to prove the dog was yours. The scammers give up pretty quickly if you challenge them. If the person claiming the dog is calling from a blocked number, assume they are trying some sort of scam until they can prove they are trustworthy. You should renew a craigslist ad every seven days for a month. In addition to the craigslist ad, you can post on many Facebook pages dedicated to lost dogs of particular regions. Notify shelters and pet businesses. You probably need to notify several shelters. A dog can pass through several jurisdictions just by wandering a few blocks in some cases. Also, the dog may have been transported. 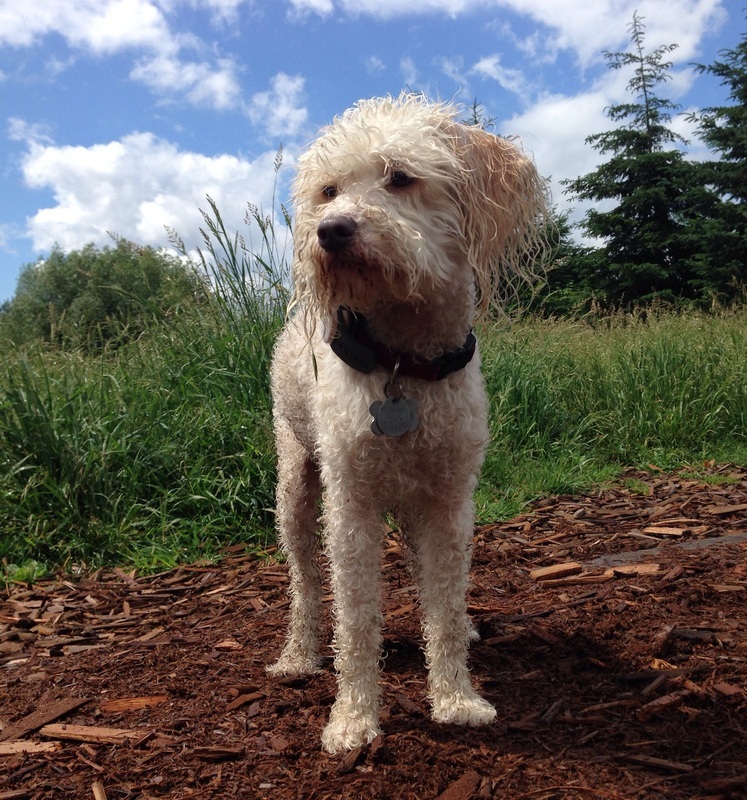 If I found a dog in Lake Forest Park, for example, I would notify the Seattle Shelter, King County, PAWS, and the Everett Shelter. Also, I would notify Adix, a boarding facility that serves as the shelter for Mountlake Terrace. When you are at the shelter filling out the Found Dog form, also check their book or listings for any reported lost dogs that might match the one you found. Shelter employees and volunteers won't necessarily take the time to look through the dogs reported lost and the dogs reported found to see if there are any matches. You may want to turn the dog over to a shelter, which would probably work out okay in most cases. In some cases, you can improve the dog’s odds of returning home by reporting the dog to a shelter but not actually surrendering the dog. As noted above, the shelter you take the dog to might not be the one that has jurisdiction over the place the dog escaped from. Also, a shelter would only hold the dog for three days, and not actively look for the owner in most cases. You can, if you are willing, take many steps to find the owner, which the shelter simply wouldn’t have time to do. Useless Bay Sanctuary has been able to reunite dogs that would have already been adopted out by a shelter if they had been surrendered. If you must surrender a dog to a shelter, don’t feel bad about it. That’s what a shelter is for, and the large number of stray dogs makes it impractical to give every stray dog individual attention. Besides local shelters, you should drop of Found Dog fliers at local pet food stores, veterinarians, doggie daycares, and groomers. Prevent another escape. I’ve read countless stories of people rescuing a stray dog only to lose it again. When a dog comes under my care, in most cases I will put two leashes on the dog. One leash will be attached to a Martingale collar, and the other leash will be attached to a harness. A dog can slip out of a collar or a harness, but not both. Put a note on the outside of the front door telling anyone who enters the house that there is a new, unfamiliar dog inside. Some dogs have gotten comfortable in a temporary home, and then the husband comes home from work and the dog thinks it’s an intruder. Any new person entering the home needs to be properly introduced, probably using the calming signals discussed above. Also, don’t just open the front door wide. Either squeeze in through a barely-open door, or come in through the garage after the garage door is closed, or put the stray dog in the kitchen before opening the front door. If you have a stray dog in your car, pull the car into the garage and close the garage door before opening the car door to let the dog out. Prepare for an escape. It is not unlikely that a dog found wandering escaped from somewhere and may try to escape again. Any stray dog under your care should have some sort of temporary ID with your contact information. I would stop at the pet store and have a tag engraved, but you can also just write your name and number on a piece of paper with a marking pen, and then attach it to the collar by wrapping it with clear packaging tape. Take several clear pictures of the dog, from several angles, in good light, so you can tell someone what the dog looks like if he escapes. As an extra precaution, you can collect a scent article from the dog so that a search dog could track him if he ran off. You can do this by rubbing a sterile gauze pad on the dog, from head to tail, and putting this scent article in a Ziploc bag, writing the dog’s name (or temporary name or description) on the bag, and sticking the bag in the freezer. There may be a search dog in your area that could track a lost dog, but only if you have a useable scent article. See Missing Pet Partnership’s web page for a directory of professionals with trained search dogs. Useless Bay Sanctuary often takes the extra step of putting a GPS collar on a found dog, so he can be found quickly if he escapes. We use Tagg brand collars. There are other makers, but we don’t have experience with them and can’t make a recommendation. Don’t assume a dog was abused or dumped. I know of hundreds of lost dogs that looked skinny, dirty, scraped, and matted when they were finally found. They looked abused even though their owners had been looking for them nonstop since they disappeared. A dog that was friendly and happy might cower and cringe if he has been running away from people for days or weeks. He wouldn’t necessarily know that the people chasing him were trying to help him. A dog that is limping may have been living like a king in his previous home, and he might be limping because he was hit by a car after he escaped. It does happen that dogs are dumped, but you can’t assume that without any evidence. Search for a dog’s owner for 30 days. Laws vary from place to place, and it can be difficult to find out what the law is in your area even if you ask an authority that is supposed to know. In Washington State, and in many other states, the default law says you need to actively search for the dog’s owner for 30 days before claiming the dog as your own or placing the dog in a new home. A shelter is treated differently under the law, and they can adopt a dog to a new family after 72 hours in most cases. At Useless Bay Sanctuary, our current understanding of the law in most jurisdictions is that anyone besides a shelter is obligated to try to reunite the dog with the owner for 30 days. In practice, we often hold a dog for longer than 30 days because we want to have the dog spayed or neutered before going to a new home, and we want to assess the people applying to adopt a dog. Many of the dogs we have saved have been claimed by their owners after 72 hours but before 30 days. Please note: different attorneys have interpreted local laws differently, so you may wish to consult an attorney about the legal status of a dog you found. If you surrender the found dog to a shelter, and then adopt the dog from a shelter if no owner claims him during the 72 hour stray hold, then the dog is yours, without a doubt. If you keep a dog for 30 days, actively search for the previous owner, and notify the shelter that you have this found dog, there is still a chance that an owner could come forward at some point in the future and ask for the dog back. Ownership of the dog might need to be decided in a court of law, which can be expensive no matter which way the decision goes. If the dog has a microchip, and you were unable to find the owner using that information, the owner who implanted the microchip could use that as proof of ownership to claim the dog even if you tried to find the owner for 30 days or more. You would be wise to document your efforts to find the original owner, in case it might end up in court one day. Keep in mind, too, that the law does not consider whether or not you have the best intentions of the dog in mind. In the eyes of the law, a dog is property, like a car or a shoe. A dog's value, according to the law, depends on a human's ability to exploit the dog for a profit. If you consider a dog to be a priceless member of your family, the law may not really care. Some people think that if they keep a dog in their home or at a rescue for 72 hours and no one tries to claim the dog, then the dog becomes their property. This is absolutely wrong. This is theft, plain and simple, and you could be charged with theft if you tried this. The 72 hour stray hold only applies to shelters and humane societies recognized by local contracts with cities and counties as the animal control authority in their defined area of jurisdiction. Get vaccinations soon. Because this stray dog will come in contact with your own dogs or with other dogs on the street, be sure to vaccinate the dog soon. Don’t head right to the vet the moment you pick up a stray, since you might find the owner in the next hour or two, but if you haven’t found an owner in 24 hours then you should take him in for a checkup and basic shots like rabies and distemper. Useless Bay Sanctuary collects donations for veterinary expenses, and we are prepared for these costs. If you are not willing to pay for basic veterinary care, you need to surrender the dog to a shelter or work with a nonprofit like UBS. Do not neuter a dog before the end of a 30 day search period. The dog doesn’t legally belong to you, so you should not be physically altering the dog if you can avoid it. Yes, almost all dogs should be spayed or neutered, but you can do that after the 30 days of searching for the owner. You could be sued if, for example, you had a dog neutered and then the owners came forward and claimed you deprived them of income because they planned to breed the dog. Even if neutering the dog is what’s best for the dog, you don’t have a right to do that if you aren’t the legal owner. Getting sued for thousands of dollars will not help you help lost pets. Require Proof of Ownership. This can be pictures of the person with the dog, or it could be veterinary records, adoption papers, or licensing documents. Most people who are trying to scam you into giving them a dog that doesn’t belong to them will give up when you say you are requiring proof of ownership. In some cases, a person might think it is really their dog when it just looks very similar. Proof of ownership might be faked. Even if someone has a picture of herself with the dog, it could just mean that she found the dog last month and claimed it as her own without looking for the owner. Or it could be a picture of a dog that happens to look very similar. Use your best judgment, and document everything. If you were shown convincing proof of ownership and you later learned beyond a shadow of a doubt that the person claiming the dog was not the owner, you would want some way to track that person down and make things right. If you have proof a dog came from a situation of abuse or neglect. No one would want to return a dog to an owner who was abusing or neglecting a dog. By law you may have no choice. If you suspect neglect or abuse, make an attempt to ascertain the dog’s former living conditions before you return the dog. If abuse is clear, but you feel you have no legal recourse to prevent them from claiming the dog, do report it to your local animal control agency, with as much proof as you can gather. If you try to hide a dog from a suspected abusive owner, you may just make things worse for yourself and for the dog. Also, you could be wrong, and you might be breaking the law to protect a dog when in fact it is actually returning to a loving home in spite of appearances. A person suspected of animal abuse is innocent until proven guilty. If you are thinking of breaking the law to protect a dog, think twice. Rehoming a dog. Every day I see posts advertising a found dog as being available to go to a new home. This isn’t legal, and it isn’t fair. If I was on vacation and the people who were supposed to be watching my dog lost her, I would be heartbroken and enraged to come home and find that the person who found my dog gave her away. You can’t give away a dog that doesn’t belong to you. If you would like to see the dog adopted by a new family that will treat her the way she deserves, be sure to go about everything in a proper and legal manner. If you are rehoming a dog after 30 days of searching for the original owner, be sure to take the time to get to know the potential adopter. Ideally, you want to see how they interact with dogs, to see if it would be a good fit. Take into consideration the personality of the dog. Some potential adopters would be great for one type of dog and wrong for another sort of dog. Do not list a dog as free to a good home. If you have exhausted every means of finding the original owner, and you have been looking for 30 days, then you may be clear to find a new home for the dog. While a previous owner may not have lost all rights of ownership if they didn't find their dog within 30 days, if you spent 30 days actively trying to find the owner, it is less likely that you could be successfully sued at some point in the future. (I am not an attorney, and various authorities have given differing opinions on the issue of ownership of a stray dog. Please do your own research on this.) Do not advertise her as free to a good home. Even though money is not your motive for rehoming the dog, you need to be charging something to ensure this dog is not going to an abusive situation. People do collect dogs offered for free and then turn around and sell them for a profit. Sometimes people seeking bait dogs for fighting rings will have an accomplice pose as an upstanding citizen with a loving home. It may be a rare occurrence, but you can take reasonable precautions to avoid such a scam. If you are adamantly, philosophically opposed to collecting a fee for rehoming the dog, then collect the fee temporarily and tell the adopting family they can have the money back in a few months when you come visit them and see the dog healthy and happy in the new home. 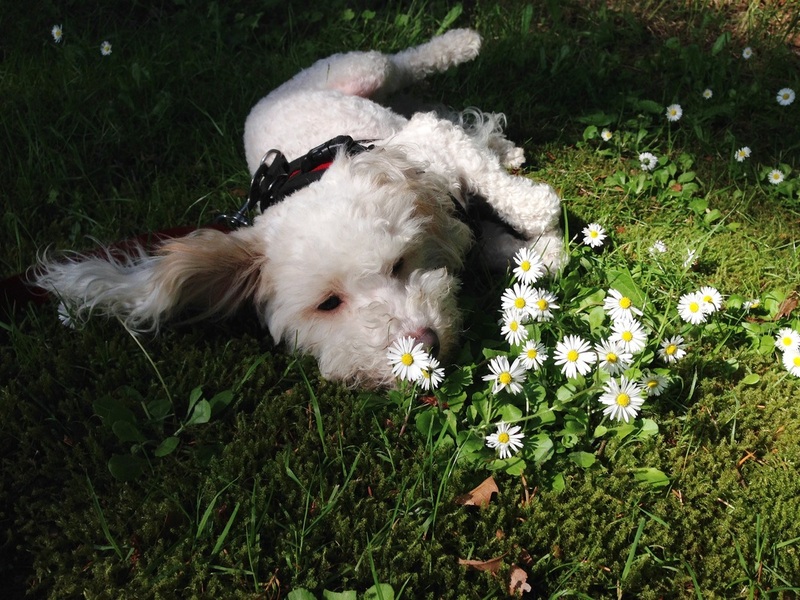 Useless Bay Sanctuary does charge a fee for the dogs we adopt into new homes. We typically charge $250, which does not cover the average cost of medical care and spaying or neutering. Listing a dog as Free to a Good Home may sound caring and selfless, but you could be sending a dog into a nightmare. An adoption fee is one way of screening out the criminal element. Of course, Useless Bay Sanctuary requires adopters to fill out an application and agree to a home check. If you are not willing to take these steps, then is it really in the stray dog’s best interests for you to be keeping her? When is it best to surrender a dog to a shelter? If a dog is clearly dangerous and out of control, you aren’t doing that dog a favor by keeping him out of the shelter. Keeping a dangerous dog in your home may just create more opportunities for the dog to be involved in an incident that would necessitate drastic solutions. Also, you can’t keep every stray dog in your house. Shelters are there for a reason, unfortunately. It would be nice if profiteers stopped breeding dogs solely for money, but until they do, economic incentives are going to lead a few people to continue the overpopulation of dogs. Always report a dog to the shelter, even if you don’t plan to surrender the dog. Some people say they would never, ever surrender a dog to a shelter because they don’t want the dog to be killed. At least in the Seattle area, shelters do a reasonable job of getting most dogs into their previous homes or into new homes. Sure, you read about shelters in other states where almost all the dogs are euthanized, but that isn’t the case here. Do your research before you assume that’s true. If you can’t provide a safe place for a dog, then a shelter may be a better option. It may also work out that you can turn a dog over to a shelter, and then if the dog isn’t claimed in 72 hours, you can adopt the dog. Don’t just assume that turning a dog over to a shelter is the worst possible alternative. Get to know your local shelter before making any judgments. What if a dog bites? Try to avoid dog bites by anticipating situations where a dog might bite and avoiding those triggers. If a dog does bite you, it isn’t the end of the world in most cases. I have been bitten by at least six dogs. All of those dogs went on to happy homes where they were not an especially high risk to bite anyone else. I received these bites because they perceived my actions as aggressive and dangerous even though I was helping them to safety. I could have just let the dogs go, to avoid being bitten, but I chose to hold on, for the sake of those dogs. I didn’t take offense that any of these dogs bit me because I knew they were expressing themselves the only way they knew how. If a dog bites you, you have an obligation to let the next person know it happened, so they can try to avoid the situation that triggered the bite. Most biting behavior can be corrected with training. Some dogs bite because they are in pain, and they will be friendly and calm once the underlying medical issue is treated. There will be a few dogs that have so much aggression that training them to be calm and friendly would be impractical if not impossible. Each person has to make this decision for himself, but I could foresee a situation where I would let a dog go to a shelter and be euthanized rather than jeopardize my ability to help all the other dogs that need me. I haven’t faced that decision yet, fortunately. What if a dog has serious medical issues? Some stray dogs are rescued when they are in dire need of veterinary care. Before I helped start a nonprofit organization, I spent thousands of dollars of my own money helping stray dogs get veterinary care. There will be some dogs that need thousands of dollars of care. If you can afford that, that’s great. You can often raise money for a stray in need simply through your friends, family, and social media. You can also work with nonprofits such as Useless Bay Sanctuary to care for a dog in need. There are nonprofits who specialize caring for dogs with extensive veterinary needs, such as Old Dog Haven. When you take a stray dog home, keep in mind that expensive veterinary care may be necessary. I found my Fozzie when a friend reported to me that a little white poodle was running down the freeway. I trapped him in a humane trap and took him home. I looked for his owners for two months. I am very lucky that I got to keep Fozzie because he is a wonderful dog. Another dog that I found, Sky, was living in a cemetery for months. She is a difficult dog, with something like the canine version of PTSD, and she takes a lot of effort to manage sometimes. I love her to pieces, but not everyone would be able to handle a dog like her. If you do decide to keep a stray dog after diligently searching for the owners for thirty days, I hope he turns out to be as wonderful as Fozzie and Sky, and I hope you can provide a great home. At a minimum, before you decide to keep a stray, you should consider all the information in this article. People who step up to help stray dogs are my favorite kind of people. The more knowledgeable you are, the better you can help that stray. If you have questions or need help with a stray, please contact Useless Bay Sanctuary or your local shelter.